Facebook (FB) seems to enjoy making life difficult for those administrators who have been refusing to pay a dime to "enhance" those PAGES with some of their premium services (i.e. : getting more "LIKES" or promote one particular post to a wider audience that require some form of payment before able to carry such deeds). 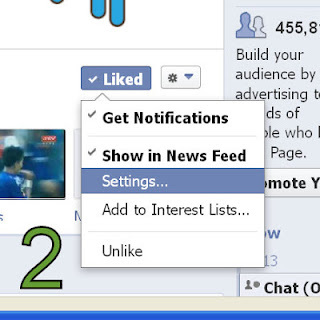 After the "only 10% reaching out" quota kicked into place last year, the widely-used social media platform seems to have upped its end by enhancing its features and much to the further dismay of those stubborn administrators by tweaking the notification settings to notify those users who LIKED their pages. At times, I feel frustrated that despite having more than 800 users in the blog's FB page, only around 10% of the users are able to receive new postings randomly on their feed (that translated an even lesser percentage, if I share any information from other sources on the page). In short, it really defeats the purpose of having the page with these restrictions in place in order to force. Which is why I think it's necessary to seek everyone's help in this matter in order to make the blog's FB page - a useful tool for communication and a channel for sharing of ideas. With the new changes in notification settings in place, I would be appreciated that users could "self-service" themselves in making some changes in the settings over at their end (on their desktop FB setting when they view the blog's FB page). First and foremost, log on to the "desktop" version of the blog's FB page at https://www.facebook.com/bolasepako (note: you can't do the following settings on the FB mobile site). Next, move the cursor of your mouse over the "Liked" button (MOUSE-OVER it), until the following drop-menu surfaces (as illustrated below). 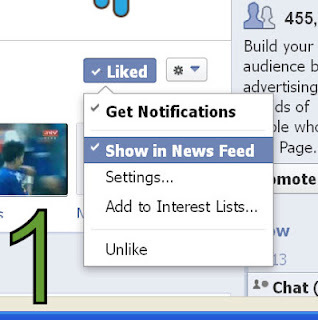 1) As illustrated, please click and tick "Get Notifications" and "Show in News Feed" (as pictured above). 3) Upon clicked, you shall see this drop-menu and please click to tick "All Updates" (as pictured above) - You are done and you shall able to receive any information posted instantly. 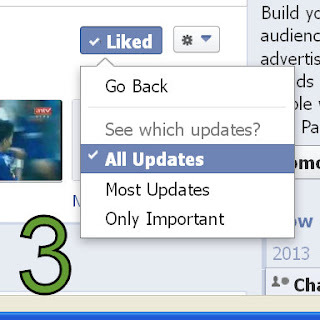 Using the same concept, you may wish to follow the above mentioned instructions on other FB pages you liked too.